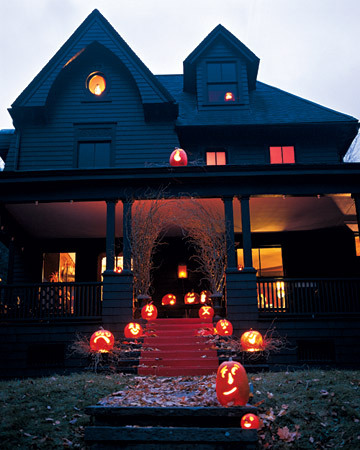 Since Halloween is coming upon us on Sunday I thought I’d share some spooktacular ideas. They are all courtesy of Martha Stewart. If you would like to find more information about a certain project just click on the picture. 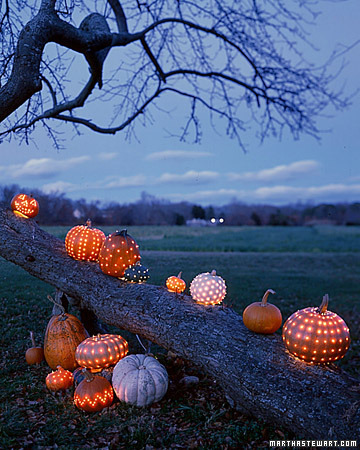 These jack-o-lanterns look so warm. I wish I had made the time to carve a couple this year. I guess I’m really liking the jack-o-lantern this year. Maybe tonight I will pull out the ol’ carving knife and whip up a glowing beaut of my own!